Founded in 1996, Ceetron AS offers 3D visualization products and solutions to OEM customers and end users in the CAE market, with a focus on CFD and FEA. The 3D Components SDK is a development toolkit for 3D graphics. It has been optimized for FEA and CFD models and results, and aims at software developers within CAE, science and engineering. The end-user applications offer real-time collaboration, sharing of CAE information across organizational boundaries, on any device. With direct interfaces to most major CAE systems such as ANSYS, Abaqus, MSC Nastran or FLUENT, the Ceetron 3D visualization technology is used by tens of thousands of CAE engineers worldwide. With customers in Europe, North America, and Asia the Ceetron software and toolkits are deployed at top-tier OEMs like Autodesk, Dassault Systèmes, Transvalor, and DNVGL; major industrial customers like BMW, Rolls Royce Marine, and Alcoa; and leading academic institutions like SINTEF, Osaka University, and MIT. 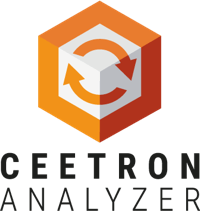 Ceetron Analyzer is a powerful post-processor with advanced functionality for visualization, analysis, interpretation and presentation of FEA and CFD data. Ceetron Analyzer runs on almost any hardware, ranging from laptops and desktop computers to high-end workstations, on both Linux, Mac and Windows. It supports a number of typical workflows in engineering organizations with heavy use of CFD and/or FEA software tools. Ceetron Analyzer Desktop has direct import Interfaces to most major CAE systems including, but not limited to: ANSYS, ABAQUS, FEMAP, I-DEAS, MSC.Marc, MSC.Nastran, NEi/Nastran, NX Nastran, LS-DYNA, RADIOSS, PAMCRASH, FLUENT and CGNS. 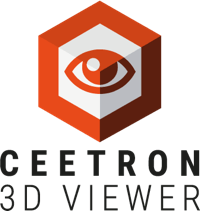 Ceetron 3D Viewer is a free, stand-alone interactive 3D viewer for presentation and distribution of 3D models and results from FEA or CFD analyses. You can think of Ceetron’s 3D Viewer as an Adobe Acrobat Reader for CAE professionals, not only for standard FEA/CFD models, but also for high-performance, very-large-scale ones. 3D Viewer comes with a 'send to cloud' button that allows you to store 3D models in the cloud, and use the returned URL to share them. Just like Dropbox, just for CAE​ Professionals. The data set contains the 3D model, and supports the display of scalar and/or vector results, animations, feature extractions (isosurfaces, isovolumes, cut planes, particle traces), annotations, and more. 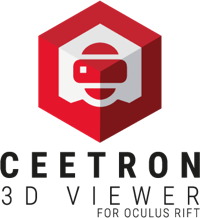 Ceetron 3D Viewer for Oculus Rift has been created for CAE professionals already working with VTFx files and wanting a richer paradigm for navigating and analyzing big CAE models; and ISVs wanting to VR-enable their CFD or FEA simulation offerings. 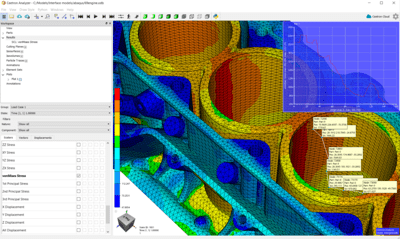 Want to share your simulation results with your engineering peers, inside or outside your organization, in your preferred browser, without plug-ins, on any device? Ceetron Cloud is a cloud-based storage of CAE models, for collaboration, speed and size, Just like Dropbox for CAE​ Professionals. Create your own account with 20 models / 2GB storage, for free. 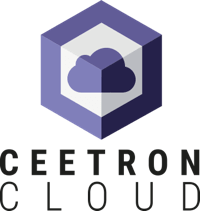 If you want additional storage, upgrade to Ceetron Cloud Premium, which also includes Ceetron Analyzer Cloud and the ability to embed CAE models in any web page. Ceetron Cloud 2.0 includes four sharing levels: shareable (through URL, Dropbox-like), public, team, and private.